Stay up to date with your children's education. 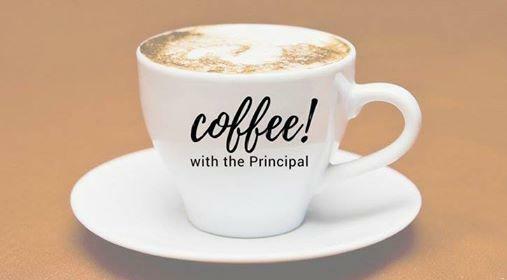 You are cordially invited to have Coffee with the Principal! 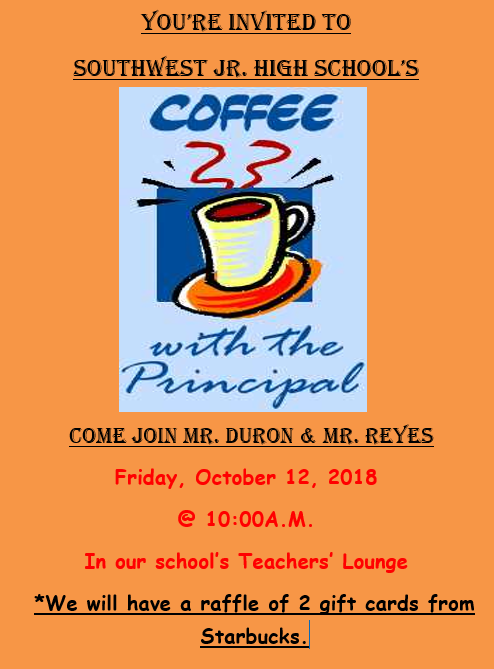 Please mark your calendar for this Friday, October 12th 2018 from 10:00 to 11:00 am. director! 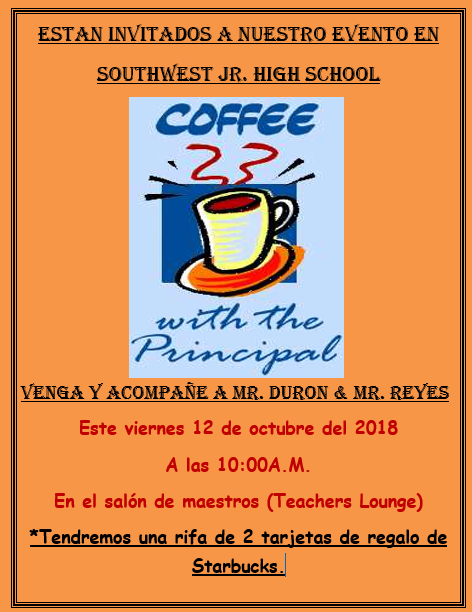 Por favor marque su calendario para este Viernes 12 de Octubre a las 10 de la manana. idea o sugerencia que pueda tener. Starbucks coffee will be served.